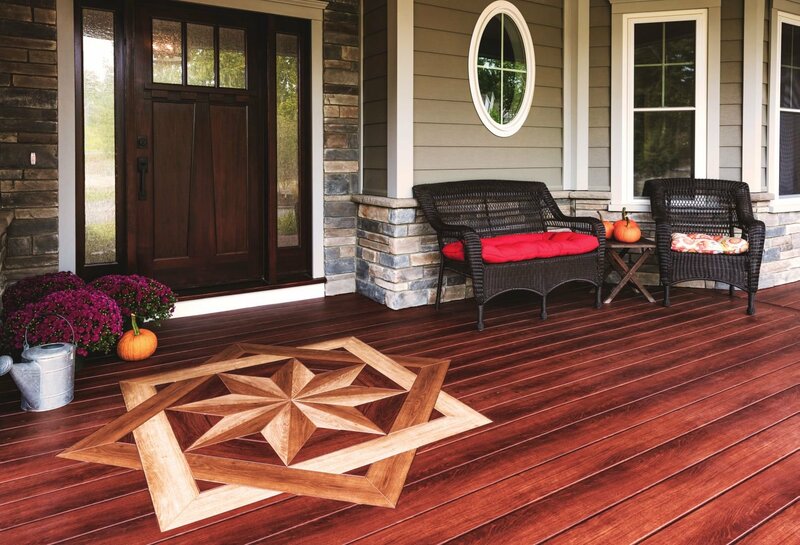 Personalizing your deck might not be something you had thought too hard about, but there are so many options and upgrades available to deck out your custom decking! Our list below highlights amazing ideas that can bring your project to life and add flair to your upcoming build. Custom deck inlays can provide an added touch of personalization that you can use to represent your personality as a home owner – from nautical flourishes, name initials, historical icons, or sports team logos, your options are endless. 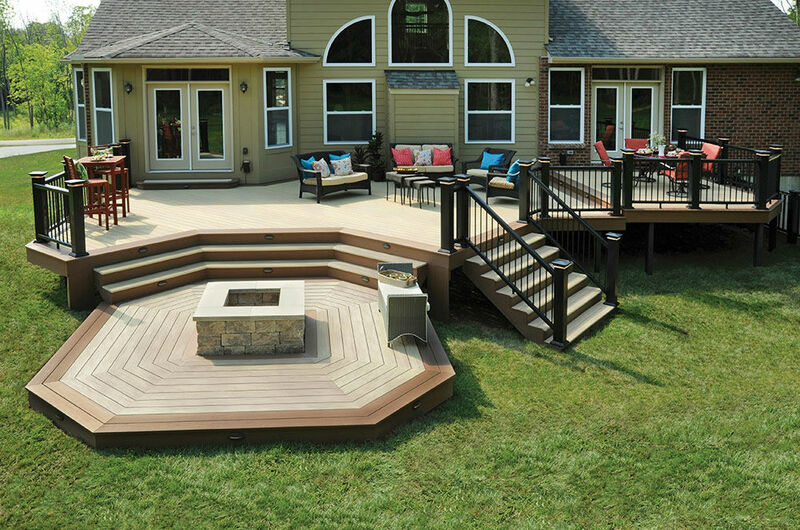 Multi-level decks can help the flow of your deck and give definition and dimension to your new space. Different levels create clearly defined spaces such as a sitting area or a dining area, which can be great if you are having a bunch of people over for a cook out! A fire pit is an instant party hit and a natural focal point for your deck! By installing one as a part of your custom deck, you can carry the fun into the evening by breaking out s’mores, gathering the crowd, and enjoying the flicker! 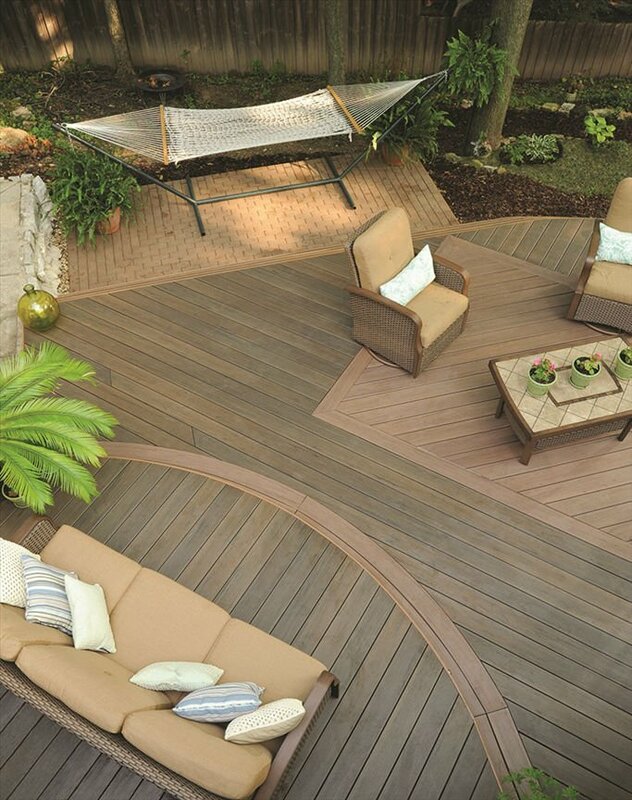 Are you looking for a deck that you will be enjoying instead of maintaining? 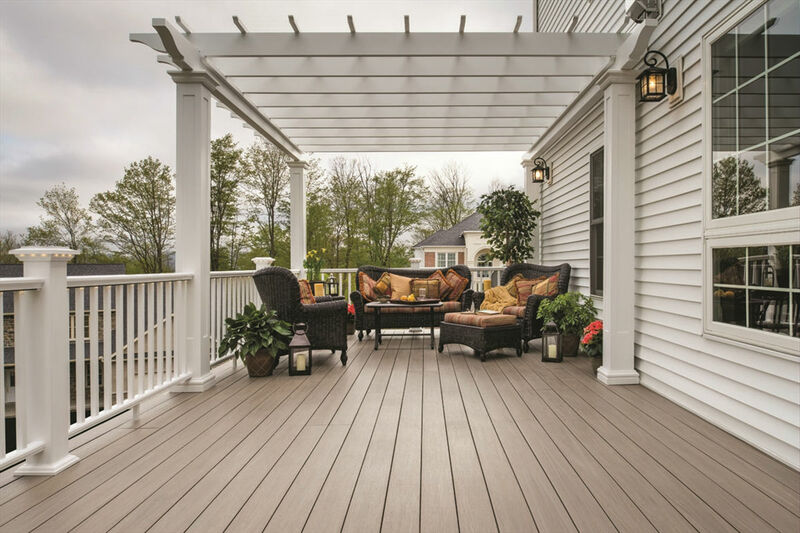 There are many alternate materials available to give your deck a time-tested and weather resistant edge, such as capped polymer, wood composite, capped composite, plastic decking, and wood-plastic composite, among many other options. 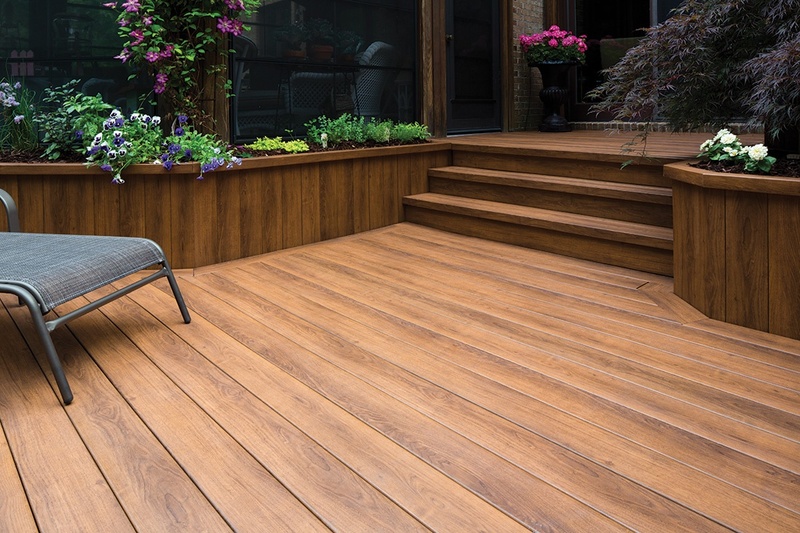 Azek, which is a brand of polymer decking, offers a comparison guide on decking materials, reviewing the typical pressure treated wood with some new enhanced options available. To give your deck an even more custom look and feel, consider using contrasting colors and wood types for the trim or to call out specific areas. Your contractor or lumber yard can offer suggestions on how to get that perfectly desgined look. Using complimentary and contrasting wood will further highlight the craftsmanship you have worked so hard to achieve! 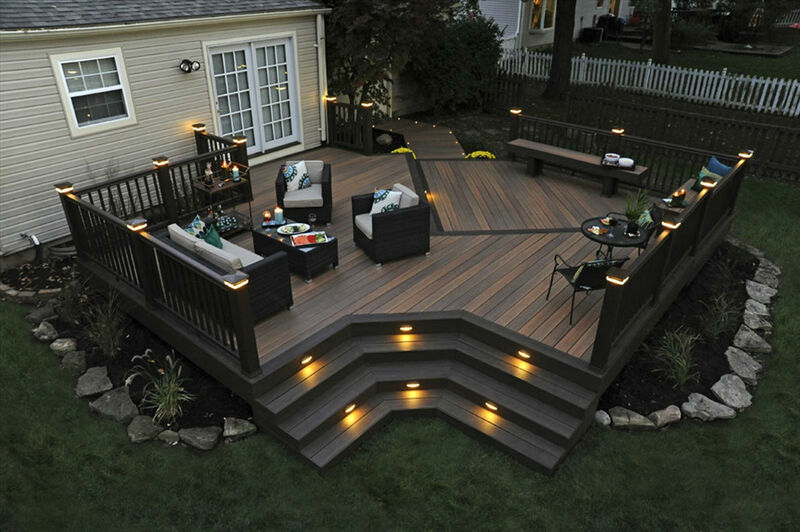 Add ambience, increase ease of access, and avoid accidents by installing lighting in key places on your deck! Recessed lighting on the stairs increase safety for those coming up and down. Lanterns or box lights that are installed into the railings brighten your deck space and alert people to where the railings start and end. Overhead lighting can also be installed with light switches placed in convenient locations such as by the door into the house or garage. To incorporate your green thumb and enliven your space, think about adding built in planter boxes to your deck. One popular idea is to plant a herb garden in one of the boxes, allowing extra flavor readily available when you are out grilling and want to spice things up a bit! You could also steer toward aromatic florals. Imagine sitting on your deck with a book, soaking up the sun, and a soft breeze of lavendar flowing your way. 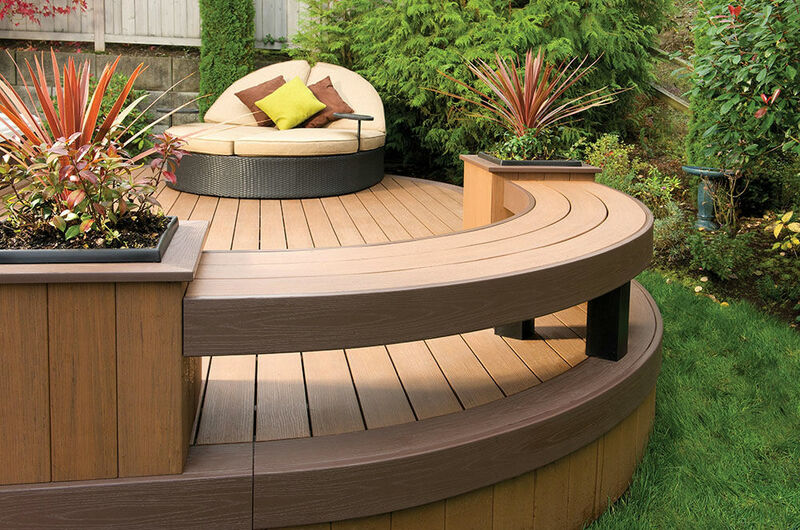 You will find built-in seating as recently popular in custom decking. This additional seating provides your guests with more places to rest, and saves you the hassle of having to dig through the garage for old camp chairs or spending even more on additional deck furniture. Whether it is built in benches that could be easily fit for an existing table you have, or in place of what would otherwise be a railing, these built-ins add style and functionality to your space. 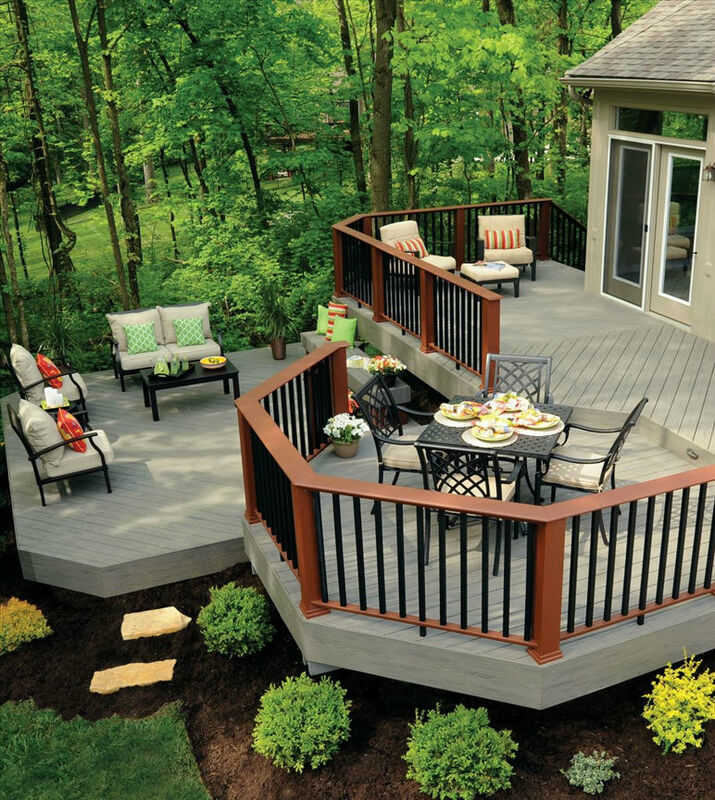 A deck is built to be your happy place and your gathering space, and your options are endless! Create a deck that meets your needs and exceeds your wildest dreams by including a few of the ideas above!